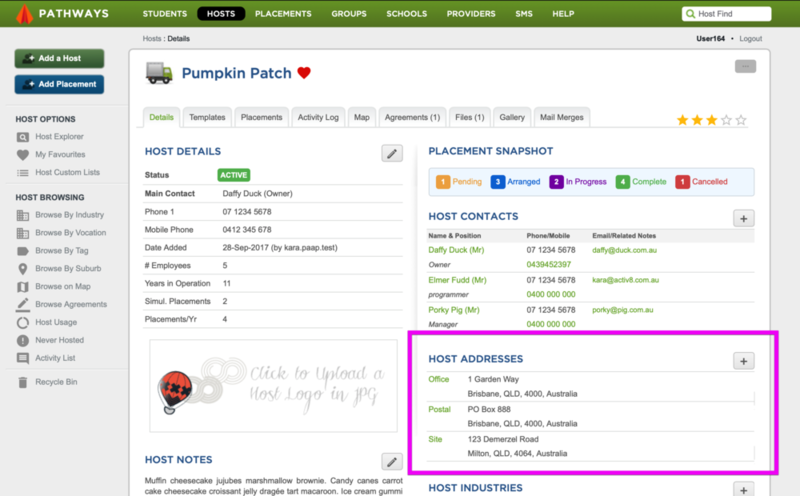 Each host has an Activity Log attached where you can record key events, notes or correspondence with the employer. Pathways will from time to time record it’s own automatic entries in the log, like a timeline of mail merges or emails sent. Where multiple coordinators are working in the one Pathways account, having a shared journal or activity log makes it easy to know what’s cooking for everybody involved.